PVC Insulation, Non-Sheathed Flexible Cords for Internal Wiring – Parallel Twin Copper Conductor – 300/300 Volts. PVC Insulated, PVC Sheathed Cables Single Core, Flat Twin and Flat Three Cores without Earth Continuity Conductor – 300/500 Volts. 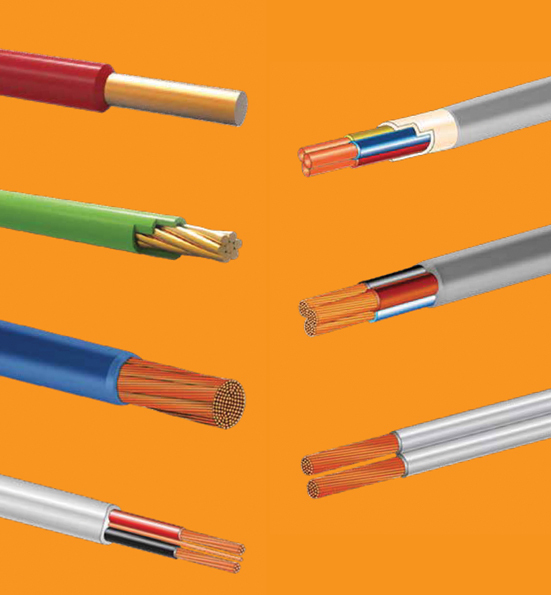 PVC Insulation, PVC Sheathed Cables with earth continuity, flat twin and flat three cores – 300/500 Volts.